Chris is the current Chair of the Board after joining the Board in May 2006. He was previously Deputy Chair and currently serves on the Governance Committee and the Finance, Audit and Risk Management Committee. Chris is a business and management consultant with a focus on finance and IT development. Chris has previously practised as a chartered accountant and is a past chairman of Crimestoppers Australia Ltd and has been involved in many community organisations. Affiliation with Daramalan: Chris attended Daramalan (1966-1973) as did his son Robie. Adrienne Day was appointed to the Board in July 2016. In August 2017 she was appointed as Deputy Chair of the Board. She is co-founder and director of Day & Hodge Associates Pty Ltd, a Canberra-based public relations and corporate affairs consultancy established in 1998. Adrienne has worked in public relations for more than 25 years at both national and international levels, including in Australia (Sydney, Canberra) and Switzerland (Geneva) for some of the world’s leading public relations companies. She specialises in strategic counsel, issues management, government relations, project management and media relations. Adrienne has a BA Communication (With Distinction) from Charles Sturt University. She is a is a member of the Australian Institute of Company Directors, the Public Relations Institute of Australia and the National Press Club of Australia. She is also a non-executive director of Molonglo Financial Services (operators of Community Bank® branches at Calwell, Wanniassa, Curtin and Jerrabomberra) and provides pro bono services to HOME in Queanbeyan. Affiliation with Daramalan: Adrienne was part of the first cohort of girls to attend Daramalan College (1977-78) and both her daughters are recentgraduates. Rita is the Principal of Daramalan College. She began her teaching career with the NSW Department of Education before returning to Canberra late in 1979 when she was first employed at Daramalan as a teacher of English. Over the next twenty years at Daramalan Rita had a variety of roles. She was appointed to the role of Studies Advisor and later Assistant Principal Curriculum for Years 11-12, a position she held for eleven years. In 2001 Rita was appointed as Principal of St Clare’s College in Griffith, ACT, a position she held until the end of 2008. In 2007 Rita held the position of Acting Principal of MacKillop Catholic College in Tuggeranong. Rita has been a member of many committees associated with education in the ACT including the ACT Board of Senior Secondary Studies, the Teacher Quality Institute Quality Board and she is currently the Chair of the ACT Association of Independent Schools. Affiliation with Daramalan: Rita has been affiliated with Daramalan College from 1979-2000 as a staff member and she began her term as Principal of the College in 2009. She is also an MSC Associate. Fr. Robert (Bob) Irwin MSC is a former Principal of Daramalan College and a former Provincial Superior of the MSC’s Australian Province (1999-2004). Fr. Irwin has spent many years working in education and he has been the Headmaster of three MSC schools – Daramalan College (1983-1988), Chevalier College (1990-1995) and St John’s College (1997-1998). Since 2005 Fr. Irwin has been a member of the Chevalier Spirituality Institute in Sydney as well as spending some time in Vietnam teaching seminarians. In 2010 he was appointed as Director of MSC Education. He is also Superior of the MSC Chevalier Resource Centre. Affiliation with Daramalan: Former Principal of Daramalan College and MSC priest. Br Barry Smith MSC has been a member of the Daramalan Board since July 2003. He is a member of the Community Engagement Committee and the Governance Committee. Br Barry has held the position of Bursar at Daramalan College 1972-1973 and 1986-1989 and at Chevalier College Bowral from 1974-1985. He was also Provincial Bursar of the Missionaries of the Sacred Heart from 1990-1997 and Bursar of the Pacific Union of the Missionaries of the Sacred Heart in 2000 at their headquarters in Suva, Fiji. He was Business Manager at Daramalan for 17 years ending in June 2018. Br Barry studied accounting at Wollongong Technical College and completed two units in Clinical Pastoral Education at Royal Hobart Hospital in 1999. Affiliation with Daramalan: Barry has been a member of the Missionaries of the Sacred Heart from 1968. From 1988 to 1992 he was a member of the MSC Provincial Council. He is currently Superior of the MSC Community at St Mary’s Towers Douglas Park NSW. Pauline Luchetti is a secondary teacher with over twenty-five years’ experience working in ACT schools and the Education Support Office with the ACT Education Directorate. 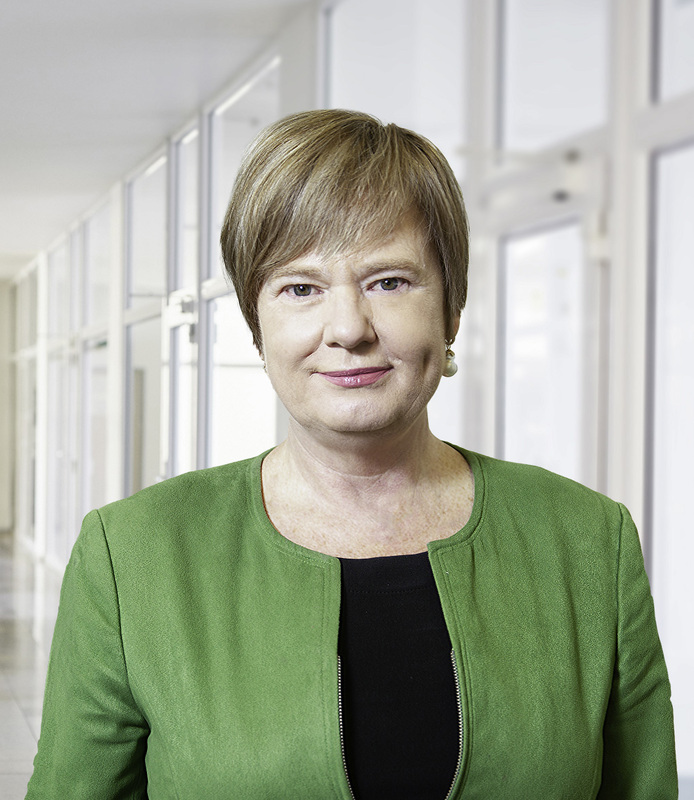 Pauline is currently a Mathematics Faculty School Leader with the ACT Education Directorate. Pauline has been actively involved in community service activities for a number of years including the Daramalan Parents and Friends and the Daramalan Rugby Club. Pauline is Chair of the Community Engagement Committee. Affiliation with Daramalan: Pauline attended Daramalan College (1983-1984), along with her brother Tony (1980-1983) and sister Fran (1986-1987). Pauline and David have three children who attended Daramalan College. David was appointed to the Daramalan College Board in 2013 and is a member of the Buildings, Facilities, Resources and IT Committee. David is an Executive General Manager of Projects Assured, a Canberra-based management consultancy with over 150 staff, which specialises in Project & Program Management, Strategy & Business Improvement and Enterprise Architecture & Technology. David served as an Army Officer within the Corps of Royal Australian Engineers for the initial 10 years of his career and has since been a management consultant for 17 years. David holds a Bachelor of Computer Science with a major in Econometrics and a Master of Business & Technology from the University of New South Wales. David also holds graduate qualifications in engineering and construction management. David is an active member of the Canberra business community and served as an elected member of the ACT Branch Committee of the Australian Information Industry Association (AIIA) for several years. David is married to Johanna O’Rourke (nee Barrett) and they have three children. Affiliation with Daramalan: David attended Daramalan College in 1987-88. Four of his siblings also attended the school throughout the 1980’s and 1990’s. Letitia Kennedy was appointed to the Board in September 2017, and has been a member of the Community Engagement Committee since August 2016. Letitia is a management consultant specialising in change management, communications, stakeholder engagement and programme management for a diverse range of private and government clients. Letitia spent the first 12 years of her career in marketing and communications roles in the financial services sector focused on retail banking, funds management, financial planning, life insurance and mortgage broking. Letitia has a Bachelor of Commerce (Banking and Finance) from University of Canberra. Affiliation with Daramalan: Letitia attended Daramalan in 1987-88, with her four siblings attending from 1977 – 1992. Letitia’s children are current Daramalan students. John Nicholl is a long-time Canberran. He trained initially as an accountant before switching to law in 1992. He practices mainly in the areas of Commercial Litigation, Medical Negligence, Family Law and Estate Disputes. He founded Nicholl & Co in 1997. The firm became the Canberra Legal Group in 2016, a full service legal firm changing the way that legal services are delivered to clients. He is an accredited mediator with decades of experience in many complex mediations, from Commercial Disputes to Family Law. John has served on the boards of several not-for-profit and community organisations, including Galilee School and Communities@Work. He has a keen interest in governance and risk management. Affiliation with Daramalan: He was a student at Daramalan from 1970 to 1977. His daughter also attended Daramalan. Michael is a partner with Slaven Torline a chartered accountancy firm specialising in insolvency and restructuring and was appointed to the Board in March 2018. He currently serves on the Finance, Audit and Risk Management Committee as Chairman. 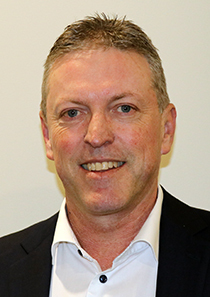 Michael has a Bachelor of Commerce (Accounting) from the University of Canberra, is a Fellow of the Institute of Chartered Accountants of Australia and New Zealand, and is a member of the Australian Restructuring and Turnaround Association. Michael is a previous treasurer of the Queanbeyan Tigers Australian Football Club and has been involved in many community organisations. With in excess of 30 years experience in the accounting profession, Michael brings particular expertise in the areas of finance and corporate governance. Affiliation with Daramalan: Michael attended Daramalan (1982-1985) and has 3 children currently enrolled at the school. Mary has a distinguished career as an educator with considerable leadership experience within Catholic education that includes working as a Catholic Education system executive and Catholic school principal. 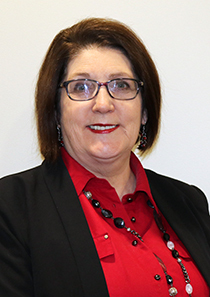 Leadership roles within the NSW Department of Education and Training as well as executive and teaching positions in primary and secondary schools have provided Mary with a broad range of educational opportunity. Mary has considerable experience and a strong commitment to students with diverse learning needs and brings specialist knowledge and skill to educational organisations. Currently, Mary is a sessional Lecturer in Education at the Australian Catholic University. Mary joined the Daramalan College Board in March 2018 and is a member of the Policy Committee.